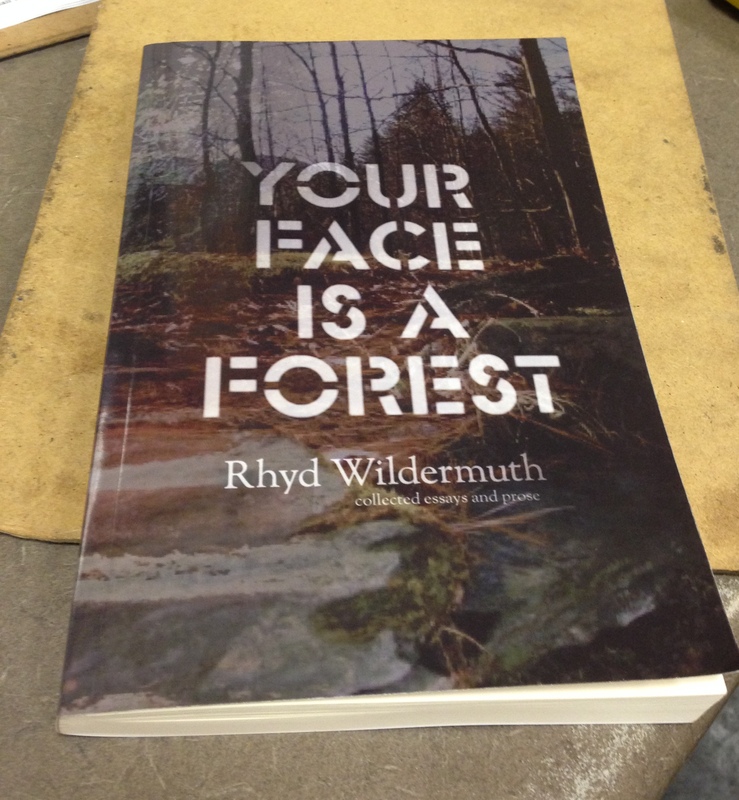 I’m sitting at my cluttered desk as the sun streams through my windows, waiting for more tea water to boil, sitting next to the proof copy of Your Face is a Forest. It looks pretty damn awesome. And oh! It’ll be available tomorrow (8 November). The distributor (Lulu) is also having a sale on shipping for the next few days. From now until the 11th, mail shipping is free and ground shipping (they use FedEx) is 50% off. I’ll post the promotional code on the announcement tomorrow. My post for A Sense of Place today was going to be something completely different from what I ended up writing. I’ve been thinking about an interesting aspect of land spirits that hadn’t occurred to me, how I’d been going to the same place for years because it felt “magical” but only recently actually noticed the spirits inhabiting that place. When I saw them, it wasn’t much of a surprise, but I’ve been thinking about what actually changed in my relationship to those places. Finding the actual spirits of a place means little for the everyday, and it isn’t quite necessary (or maybe even wise) for every person who visits an area to know who’s there. I imagine it’s a bit like attending a play or reading a book: knowing any of the actors or the writer isn’t necessary for the enjoyment, but having some relationship with them adds an extra layer of meaning and interaction. Also, it elicits involvement. Anyone can wander into the nearby forest and enjoy the place, but anyone who meets those who live there can have a relationship with the place, working with the unseen stewards to care for what everyone does see. And those spirits can tell you things. Otherwise, it’s all guesswork, attempting to decide what an area needs or wants, how it might need to be protected or where it needs to be left alone. There are sciences and studies specifically devoted to learning those things for wetlands and other fragile areas, but where can you learn, say, to figure out what the spirit dwelling in an alley or a city block needs? The piece I did write, Our Dark Secret, isn’t quite pretty. I’ve known about the pipeline running alongside the forest since I first met it, but the Fault I mention comes from spending the last week reading Naomi Klein and from a peculiar trick which had never occurred to me until I met Alley Valkyrie. Maps are your friend and sometimes your secret weapon, revealing not so much something about a place itself but what humans have done to that place over the decades or centuries, coded memory when no human remains as steward. Speaking of Naomi Klein, I’ll be reviewing This Changes Everything next week (I’m planning to see if another site wants that review…it’ll be long), and a review of Lilith Dorsey’s new book in the next couple of days. The flight tickets have been booked. My sisters had been hoping that I’d be able to visit them this winter (we’d planned this before I found out about the Newgrange selection), and as fortune would have it, flying out of Orlando to Dublin was much, much cheaper than flying out of Seattle. So my sisters are flying me to Orlando, and I’ll then fly to Dublin and come back through Chicago (again, a massive reduction in price), stay there for a few days and then return to Seattle, either by train or a flight outside the brutal holiday window. The total raised through the fund-raiser was $926, almost twice what I’d asked for (and had felt comfortable asking for). I won’t need to work quite so much overtime now, which is a huge relief. I’m utterly grateful to everyone who donated, and am quite looking forward to making the cards and candles. There’s one sort of candle which was requested that I haven’t tried to make before, so I’ll be doing some research to figure out how to make it. It’d be a good one to know how to do anyway, and if it’s successful, I can see making them for myself many times in the future. Be well, all of you! Peço desculpas para a tradução computador! Those strange underworlds of piping, sewers, drains… the culverted streams and what the undines can say… the forgotten cesspits… maps show some of these, other people remember them sometimes you can trace them. The petroleum pipelines sounds scary!